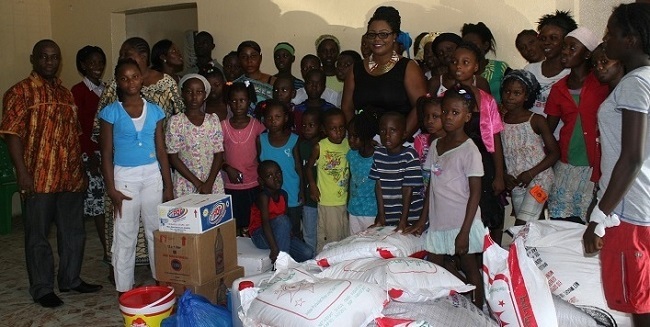 Thirty orphans began their New Year’s Day with smiles when they became beneficiaries of a supply of assorted food and non-food items and cash from the United Liberia Association in Belgium (ULAB). The association, through its Coordinator Gertrude A. Kronyahn, on Thursday delivered the supplies that included several bags of rice, flour, sugar, and gallons of oil, boxes of quaker oats, butter, clorax, and other disinfectants, among others, to the Love A Child Orphanage Home located on the Robertsfield Highway outside Monrovia. Ms. Kronyanh said the donation was the group’s noble gesture towards the needy children of Liberia She said ULAB hopes and prays to continue helping Liberian children. “Ebola has tested the love and strength of West Africa and Liberia; therefore, it is incumbent upon us to pick the first stone in rebuilding this nation for the betterment of our people, particularly the children of this nation Liberia,” she stated in her brief remarks. 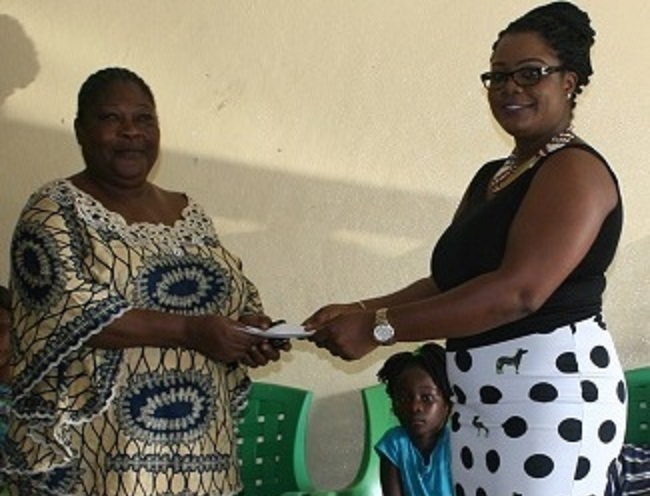 Both Mr Albert Wreh and Mrs. Rebecca Wreh, founders of the orphanage, thanked and praised ULAB for their continual support to her group as she received the donated items and cash. “God will continue to bless the work of your hands”, they stated. The presentation is ULAB’s Christmas, New Year and Ebola donation to the orphanage and is the second time the group has identified with the orphanage. Teta Kollie, who is the first registered orphan of the home, on behalf of all the orphans, prayed God’s replenishment of the resources used in double-fold. Earlier, Isaac Yeah, also based in Europe who accompanied Ms. Kronyanh to the donation ceremony, rained praises on Mrs. Wreh for the good manner in which she continues to maintain the orphanage with specific emphasis on the impressive hygienic condition of the facilities of the orphanage. He also stressed the need for Liberians the world over to replicate similar gestures towards the needy in the country, particularly during this time of the Ebola crisis in Liberia. The Love A Child Orphanage is one of the well known orphanages in the country that has been catering to dozens of orphans since its establishment in 1998.